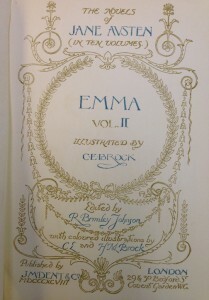 Emma, by Jane Austen, vol. 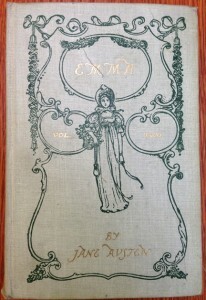 2, published 1893. Vol. 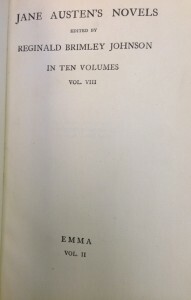 2 of 2, belonging to a 10-volume set published by J.M. Dent of all of Jane Austen’s works (starts with chapter 28). 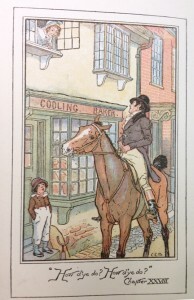 Illustrated throughout by C.L. & H.M. Brock (color frontispiece with tissue intact). Fine condition. Tight binding, some looseness starting on ends but not broken,no marks on pages, some bumping to corners, some light aging dirt to boards. 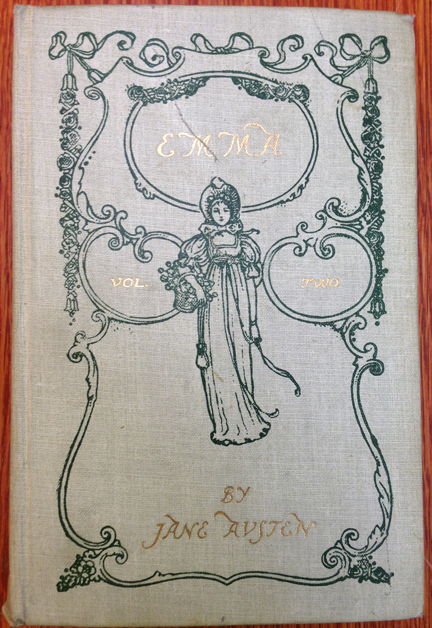 Boards a spring green with darker green decoration & gilt titles and lettering, same on spine. 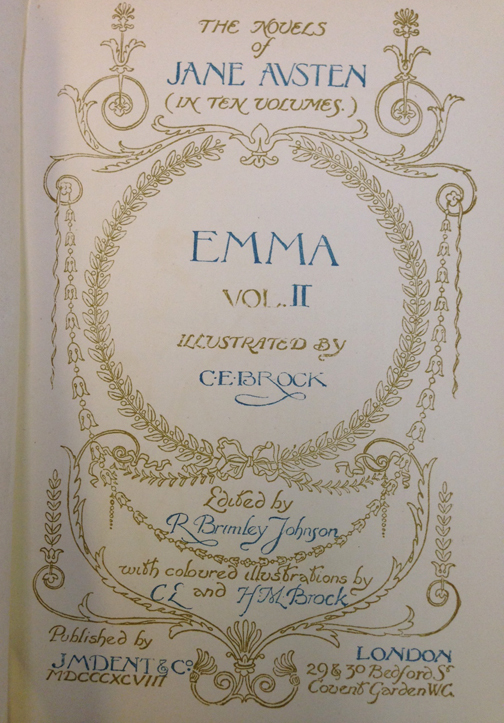 Even though this is 1 volume of a 2-volume set, it’s worth up to $200. 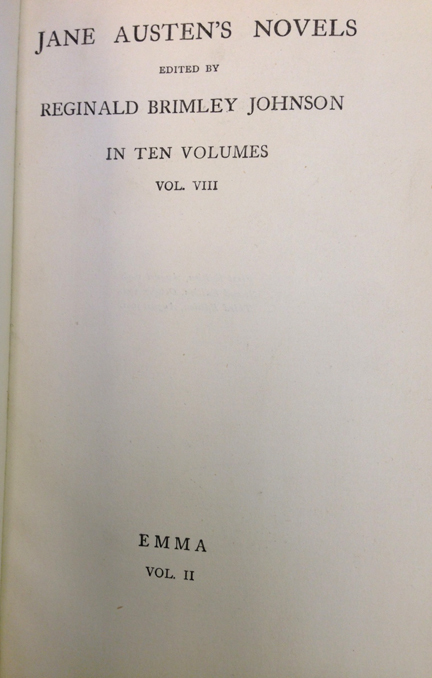 We have marked it down for you, as we think this volume should have a good home with Austen fans and collectors!